Happy New Year to you all! 2017 is here! And we must be one of the few houses that still has our tree and lights up, but the kids only head back to school tomorrow so we’ve been enjoying the glow for a little longer. 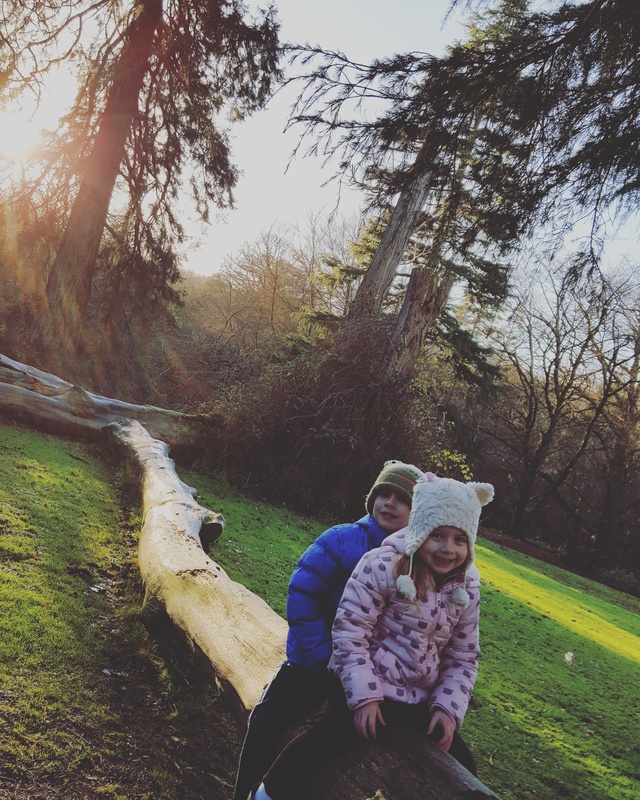 We have all had a lovely few weeks break off work and school, enjoyed lots of time at home (in our pjs), played with the toys and games that Santa delivered, took a trip to the cinema and had a few walks in our local forest park which is one of our favourite ways to spend a family afternoon. 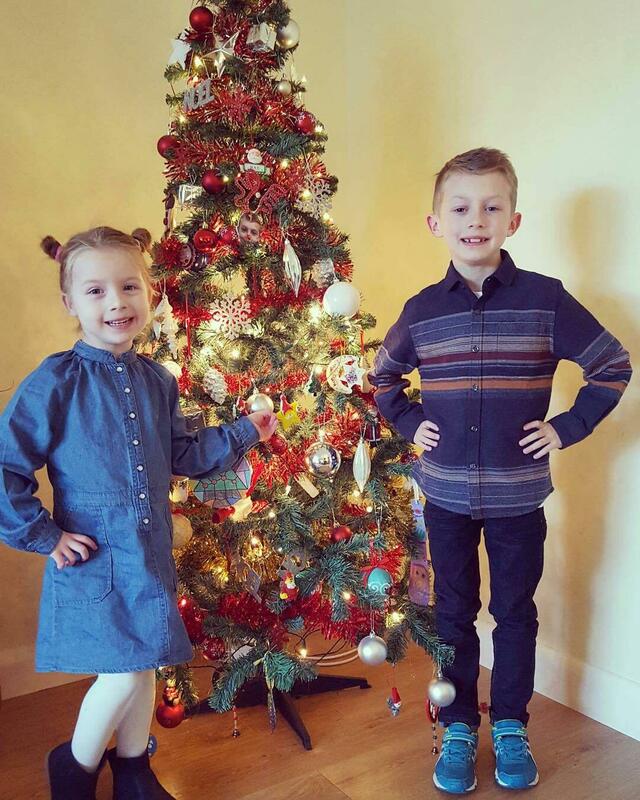 The main aim of the Christmas holidays this year was for all of us to recharge and to try and get Lucia back up to full power before going back to school. (If you check out my last post you’ll see just how tired she has been and susceptible to illness since starting school). 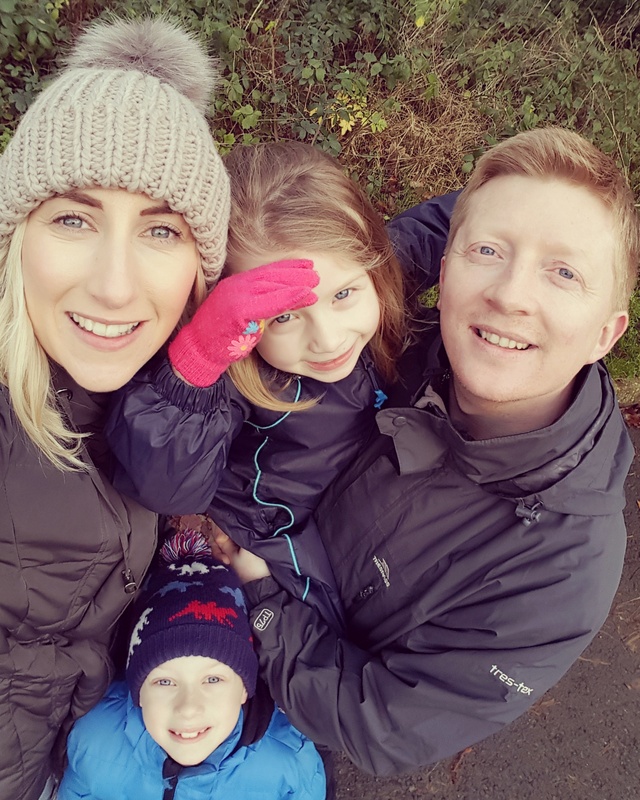 We were gutted though when she woke up on Christmas morning dosed with a cold and cough that has taken most of the holidays to shake, including being up most of Christmas night. But she is over the worst of it, has been eating better than she has in months and her energy levels have definitely picked up too. This Christmas I have also felt a bit more chilled out (believe it or not) when it came to Lucia’s compression. By that I mean I have handled a few days of her not wearing her garments. Shock horror! Over the last few months when Lucia has been ill we have learned that she can cope with a days break from her compression. One day when she was feeling particularly bad we just thought it would be cruel to go through the daily routine of struggling to get her into her garments, especially when she was feeling so rotten. So we didn’t. But believe me when I say, that this was a decision I particularly wrestled with and fretted about in case something really bad happened – in my head I had fluid zooming into her legs and feet at high speed and ballooning out of control. Completely irrational and of course, in real life that’s not going to happen…and it didn’t. So we learned that she can cope with a 24 hour break with no detrimental effect. Therefore, during these Christmas holidays we have relaxed and allowed her a few days of freedom – with a little compromise. On the first of our pj days Lucia really didn’t want to get her tights on and wanted to just stay in her pyjamas like Max. Usually we put her tights on and pjs over the top, but on this day she didn’t want to. So we came to an agreement that if she wasn’t going to wear her tights she had to wear her toe glove all day. (Or toe caps to give them their official name.) We have had a toe glove for a few months now and it does an amazing job at reducing the fluid in her right foot and toes. She is mostly happy to wear this and it means that I feel a little bit happier about her not wearing her full garments and Lucia gets to have a ‘day off’ which she loves. It has taken almost three years to get to this ‘relaxed’ point though which just shows how much there is to learn about managing this condition, the trial and error involved, sussing out what works for your child and what doesn’t and now learning to compromise with Lucia so she can begin to feel in control of her own condition. But most importantly in all of this we still need to ensure that we are continuing to do everything we possibly can to manage her Lymphoedema everyday, as this is the key to maintaining it. I feel like we are continuing to build up more confidence in what we are doing and working on getting that balance just right for us – and most importantly, for Lucia. A break through with Isla in 2017 I can’t believe it . Hope the holidays helped recharge all your batteries. I we think back to work today ?